Looking great on your wedding day is important, but what’s even more important is feeling great. Instead of focusing on pounds and inches, today’s From Blogger to Bride is going to focus on how to feel your loveliest and healthiest in time for your wedding. I don’t know about you guys, but I definitely don’t want to feel weak and tired walking down that aisle. Instead, I hope to feel strong, confident, and happy! There are so many posts and guides out there telling us how to lose weight quickly, but that’s not healthy nor is it safe to starve yourself while you’re planning a wedding. If any of you have come across CarlyRowena before, then you know this fitness guru is all about manageable goals and positive life changes. Luckily for us, Carly is here today to share 10 tips on how to stay happy and healthy before and after walking down the aisle. 1 – There’s nothing better than working out with someone you adore and most of my clients find it attractive watching a loved one work up a sweat. Cardio based activities like heading outside for a run, hitting the golf course, going for a swim or just a simple stroll after dinner are surprisingly good for your waist line and your relationship. If you feel like turning it up a notch try a Hot Yoga, Kettlebells or Circuits class together or if you really like to tackle things head on, grab some boxing gloves and take out the days stresses with a couple of rounds, my partner always grab the gloves when feeling frustrated and it always ends with us in fits of laughter as well as sweat. 2 – Before a wedding it’s great to try and keep stresses low so add in a run or walk at the weekend followed by couples yoga to relax, however if your finding the whole wedding experience a breeze take up a challenge like bouldering, climbing or spinning. After the wedding you might need to work off those extra honeymoon pounds so find a local gym you can both go to and invest in having an induction or getting a trainer to show you how to make the most out of your workout. 3 – When it comes to abs it’s all about compound movements, I’ve never done a crunch in my life. Squats, Deadlifts and Pull-ups are some of the best moves you can do as they work your whole body and force your core to work under weight. Another incredible core cruncher is obviously the plank but get creative, lift one arm, one leg or even try planking on top of each other! 4 – Food is the biggest way to make positive changes to your body but that doesn’t mean drop your calories to zero and avoid carbs. Aim to eat around 1800 calories a day full of natural, non processed ingredients and up your water to 3litres for better skin and circulation. The best quote to go by, if you can’t kill it or pick it, have less of it. 5 –Healthy and glowing is going to look one million times better on that your wedding day than malnourished and tired so aim to nourish your body. Have 3 – 4 well balanced meals throughout the day with a couple of snacks if you need them, drink lots of water and try to get plenty of sleep. I find apps like MyFitnessPal and Sleep Cycle are great to keep track of how you’re doing. 6 – Having a healthy lifestyle is all about preparation, stick to it for 4 weeks and it becomes a habit. Plan the food shop together and try to do it online as it resists temptation to buy products you don’t need (and keeps the finances in check) plan your meal times and aim to eat together. Healthy food is no longer boring so challenge each other to come up with a new recipe each week, go out to healthier restaurants or even try a cooking class. 7 – Take time out, we all get trapped in the hype around weddings, too much pressure from friends, family members and yourself can destroy your big day, so remember to have a reality check, You’re marrying the one you love, you should be having fun. Remember to make time for date nights, have a blackout evening where you switch out the world, invest in an adult colouring book, a yoga class or even a salsa lesson. 8 – It seems that whenever anyone wants to change their body they drop their calories as low as possible and up their workouts, this works fantastically for about 2 -3 weeks until they crash and burn. Think of your body as a plate, don’t take everything away straight away, start with a couple of small changes to the way you eat, have a better breakfast, eat more veggies, add more water and try some exercise classes, watch as the weight starts to fall off, then once you have plateau’d take another look at what you could change, remove the biscuits, have one less glass of wine and go for a walk after dinner. Give your body more time to adjust, it’s a journey, not a destination. 9 – There’s no such thing as good or bad food, just the amount. My top tip would be to try and make everything yourself, that way you know what’s in it and my other tip is to experiment, have you tried everything yet? 10 – Remember to stay in love, sometimes the best couples of their wedding day are the ones that remembered why they were doing it, yes you want to look your best but also you want to have the best time, relax, let your hair down and show the world why you’re getting married, you’ll look beautiful no matter what you do. Thanks so much to Carly for her sound advice. If you’re looking for more fitness tips and inspiration, be sure to check out Carly’s blog and Youtube channel. 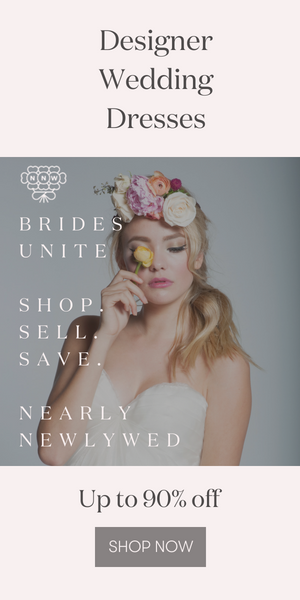 Next time on From Blogger to Bride, we’re talking about one of the most important vendors you’ll hire for your wedding. If you want a hint, here’s a riddle for you: What type of decor is not seen, but can make or break your wedding’s vibes? Happy wedding planning! Wonderful!! My most beloved things is her flower crown. All photos are beautiful. Thanks a lot for sharing such romantic and great wedding day photo shoot . It’s also very incomparable . Very interesting to see those wedding photography . Extremely informative blog post it is. Looking ravishing and feeling awesome on the big day is essential as it helps you keep calm and relax. Additionally, an inside fulfillment happens on the grounds that you feel complete. A debt of gratitude is in order for sharing wonderful tips that would help a considerable measure. Much obliged by and by.